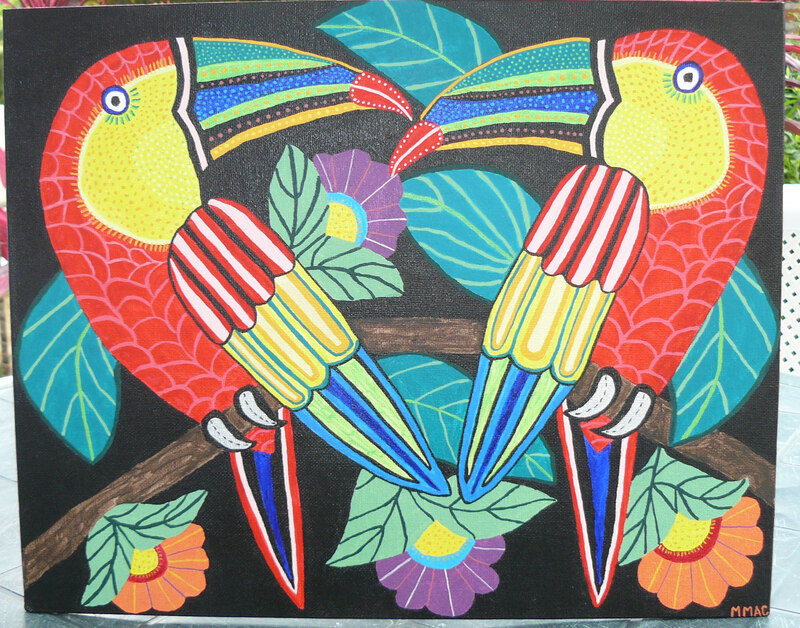 I recently completed my Mola inspired painting, Toucans. We were going to travel down to Playas to visit our good friends Bob and Glenda. I wanted to make something special for them and since they love parrots as much as we do, I decided to do a painting with parrots. I fell in love with a Mola featuring two toucans. I also fell in love with this painting and it almost didn’t make the trip. 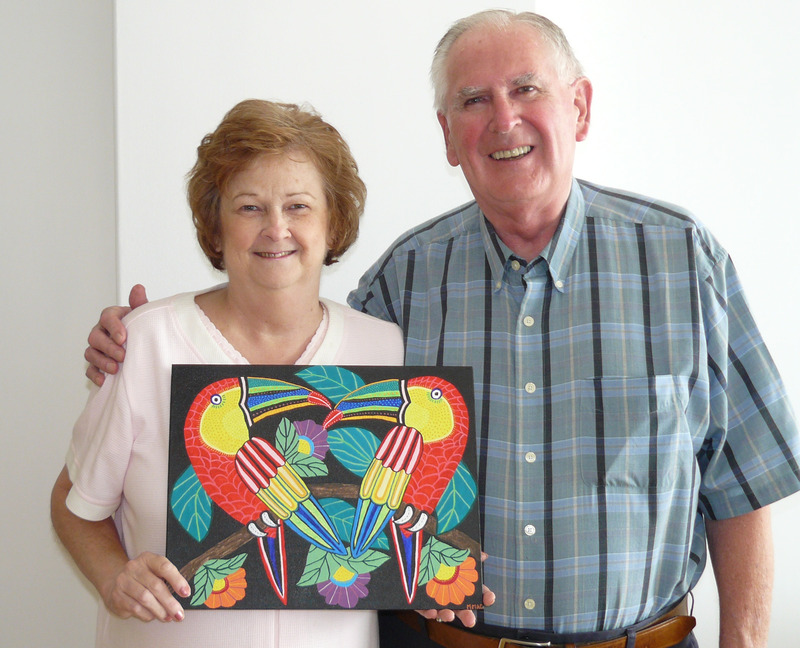 Bob and Glenda with their gift.